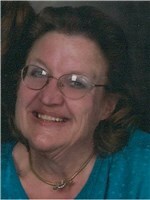 Jacqueline “Jackie” Linda Evans Gallagher, 62, of Savannah, Georgia and wife of James Michael Gallagher, Sr., died Saturday morning, April 6, 2019, at Memorial University Medical Center surrounded by her family. Jackie was born to CW4 Tad Evans, United States Army (Ret.) and Eleonore Just Evans, on July 14, 1956 in Aberdeen, Maryland. As an “army brat,” she attended schools in Germany, Florida and Georgia. She was a rural mail carrier. Jackie loved R&B music and the Blues, especially Aretha and Janis. She was a compassionate animal lover and gave homes to countless cats. Jackie is survived by her husband, James M. Gallagher, Sr.; daughter, Michelle Bryant and her husband, Andrew; son, J. Michael Gallagher, Jr.; the lights of her life, her granddaughters, Peyton and Isabella Bryant; her mother, Eleanor Just Evans; and sister, Elizabeth Kilbourne and her husband, Bruce. The family will receive friends from 11 to 12 noon Saturday, April 13, 2019, at Gamble Funeral Service – 410 Stephenson Avenue. The funeral service will be held at 12:30 Saturday afternoon, April 13, 2019, at the graveside, Bonaventure Cemetery, conducted by the Reverend Dr. Drew Corbett. I will keep the memory of your laughter and love of your fur babies and sweet grand daughters alive in my heart forever my friend. Praying for all of you during this time. My prayers and condolences to you all. My deepest condolences to the family. Jackie was always very sweet to me . She will truly be missed. So sorry for your loss! Thoughts and prayers for the family. Sorry for your loss. Rest in peace sister-in-law. May the Angels in Heaven guide you. Praying for you Jim and family. Love you all. I’m so sorry for your loss. RIP Jackie.